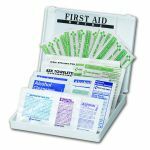 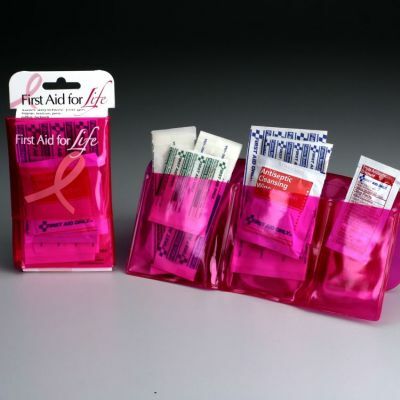 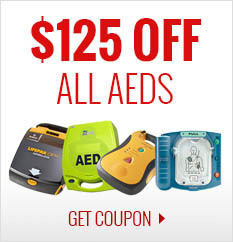 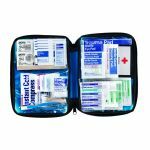 This first aid mini kit is a way for you to show your support with a practical take along item most everyone can use. 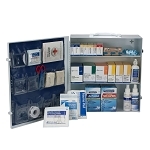 This kit is just the right size to go inside a purse, luggage, golfbag, or laptop case. 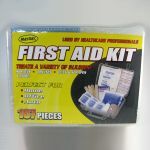 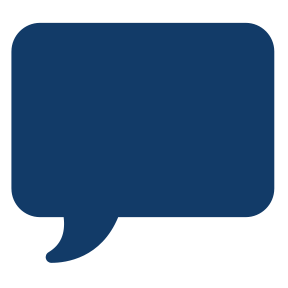 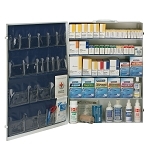 Contains antiseptics, ointment and assorted bandages to treat cuts and scrapes. 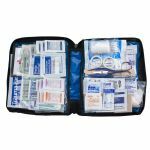 Practical in size, the fold-up mini kit is slender enough to fit anywhere.